ANIMAL KINGDOM (USA) (Chestnut 2008-Stud 2013). 5 wins-1 at 2, Churchill Downs Kentucky Derby, Gr.1. Out of SW Dalicia. Sire of 219 rnrs, 109 wnrs, inc. SW Untamed Domain (Woodbine Summer S., Gr.2), Elsa, Peaceful State, Mystery Miss, Sunny Skies, Wild Planet, Regal Glory, Camila Princess, Continental Divide, SP Animosity, Earth Angel, Lord Cecil, Grace and Dignity, Nakamura and of Royal Phoenix, Al's Kingdom, Snakeless, I am Queen, Laussel, etc. SCARLET RAIN (f. by Manhattan Rain). 4 wins-3 at 2-to 1200m, A$341,375, ATC Sweet Embrace S., Gr.2, TAB More Than Winning 2YO P., Hyland Race Colours 2YO P., Theraces H., 2d ATC Spark of Life H.
HESITATES - HAPPY FOREVER (Mac.) (Commands). 8 wins-1 at 2-to 1400m in Aust. and Macau, Macau Lisboa Challenge, L, QTC Australian Catholic University 2YO H., 2d Macau Lisboa Prelude, L, Macau Sprint Trophy, L, 3d Macau Albion H., Curragh H., Macau Race Horse Owners Association Bowl H.
Diddy Win Diddy. 3 wins-1 at 2-to 1400m, 3d Ipswich TC Queensland Times H.
Chargalucca. 2 wins at 800m, 1000m in Aust. Trumby the Ringer. Winner at 1200m in 2018-19 in Aust. Double Ranga. Winner. See above. Big Shot Paddy. Winner at 1800m in 2017-18, 2d WATC Hahn Superdry H.
Hiatus. 7 wins to 1200m, A$92,634 in Aust. Kaybriella. 3 wins from 1200m to 1600m in Aust. Mollydooker. 2 wins at 1400m, 1700m in Korea. MILITARY ZONE (Epaulette). 3 wins-1 at 2-at 1200m, A$207,380, to 2018-19, Gosford Guineas, L, ATC Winter Racing H.
Pause. 5 wins. See above. Delago Pilli. 8 wins from 900m to 1800m, A$151,105, BRC Racing Retro S., Brc.com.au H., Mackay Cup, 2d QTC Inten Constructions H., Valentines Day Packages H., 3d BTC Home Buyers H., BRC Sky Racing App H., Coca-Cola H.
Muleskinner. 2 wins at 1100m, 1200m, 3d BTC Flight Centre H.
Liberica. 3 wins to 1400m in Aust. Producer. Green Power. 3 wins at 1200m, 1400m in Korea. Producer. AVILDE (Grand Lodge). 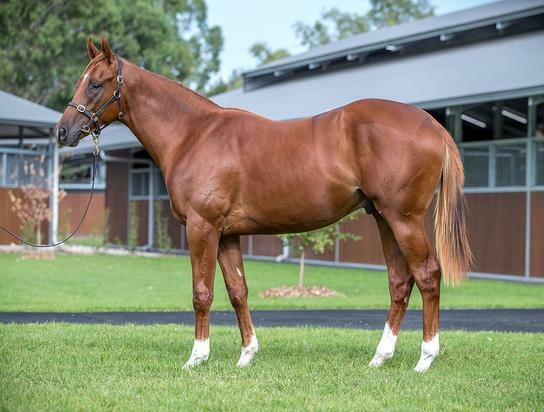 6 wins-1 at 2-from 1400m to 2050m, A$399,725, BTC Doomben Roses S., L, Gosford RC Belle of the Turf S., L, BTC Doomben Bracelet S., 2d AJC Adrian Knox S., Gr.3, VATC Coongy H., Gr.3. Producer. Finch-Hatton. 5 wins from 1300m to 1900m, A$83,120, AJC GP Nailon H., Martin Place H., STC Hornby H.
Stormont. 4 wins at 1200m, 1400m, AJC Grenoble H., Prelate H., 2d STC Centenary Institute Cancer Research H.
Bror. 2 wins at 1400m, AJC Grenoble H., 2d AJC Convention Centre H.
TOORAK TOFF (Show a Heart). 6 wins-3 at 2-to 1400m, A$1,293,520, STC Golden Rose S., Gr.1, MRC Sir Rupert Clarke S., Gr.1, SAJC Jansz S., Gr.3, MRC Vain S., L, SAJC Adelaide Magic Millions 2YO Classic, MRC Midnight Fever 2YO P., 2d MRC Caulfield Guineas Prelude, Gr.3, 3d VRC Tab.com.au S., Gr.3, 4th AJC Sires' Produce S., Gr.1, MRC Caulfield Guineas, Gr.1. Sire.